London based house project born from the minds of Adam Reid and Andy Watson, who debuted in 2014 with the ‘Ghana EP’ on Loft Records which picked up DJ support from Bicep and Tensnake, and also led to regular appearances in Fabric's Room 1. 2015 saw them release their ‘Bygones EP’ on Chasing Unicorn and will also see them recently launch their own party, Dorsia & Friends, at Oslo in Hackney, on 15 Aug.
Next up though is this new EP on Southern Fried Records. It opens with the title track, which has big claps, proud bass stabs and a strong female vocal all making for a fulsome, modern house sound. Bristol boys Outboxx - of labels like Futureboogie and BRSTL - remix it into a much darker, deeper and more heads down techno affair. Icy hi hats jangle above a hurried deep bassline sucking you into a vast abyss on this production. Second on the remix, FunkBias (aka garage and bass men Zed Bias + Funk Butcher) then flip it into a main room banger with piano chords, echoing vocals and plenty of summery, playful grooves. 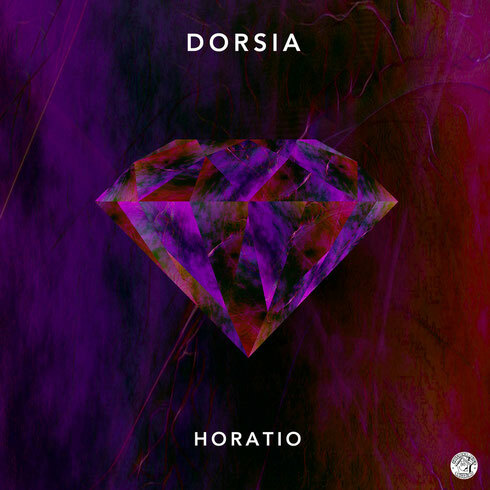 Dorsia’s other original is ‘Orisha,’ a much more patient and moody cut. Swirling electronics set a sombre atmosphere as chilly female vocals float about with a heavenly edge, then a mid tempo, deep house kick-clap combo comes in and the track glides into a melancholic house roller.